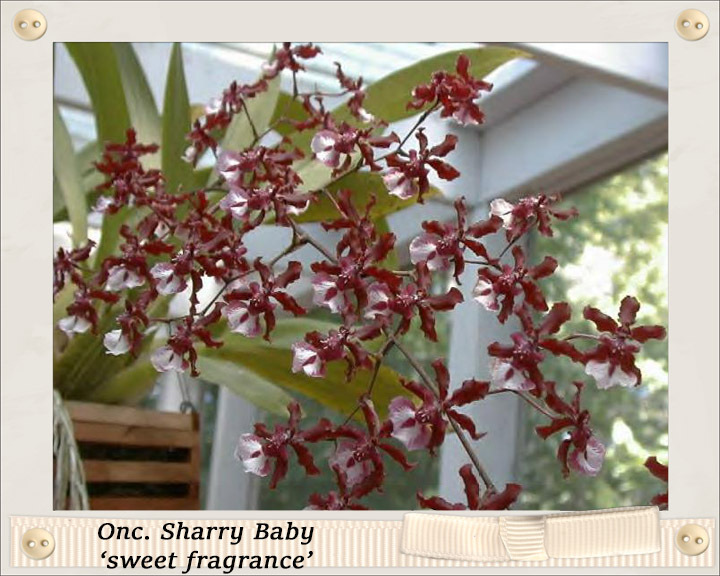 Orchids are the most numerous plants on Earth, and many are suitable to grow indoors and in intermediate greenhouses. This will be a discussion of Cattleya orchids and their hybrids specifically, although most commercially available orchids will respond well to the same treatment and culture escribed here. Orchids are the most numerous plants on Earth – 750 genera, some 30,000 species, 130,000 man-made hybrids with 1,000 new hybrids categorized annually. There are 1,100 species in common cultivation. Tennessee is blessed with nearly 50 species of orchids – second only to North Carolina as the state with the most orchid species outside of Florida. Add in the rest of the U.S. and Canada (excepting Florida) and the count goes up to about 150 species. Florida itself is native home to about 115 orchid species, although there is constant discussion on the exact number. The state flower of Minnesota is an orchid – Cypripedium reginae – pink and white lady’s slipper. 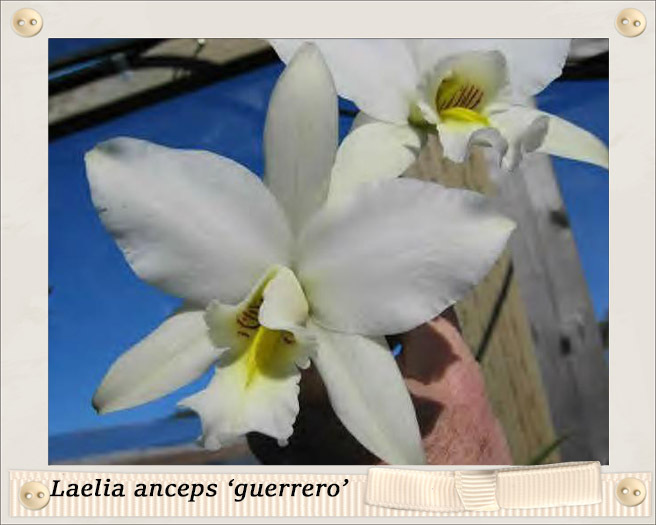 A state flower of Brazil and the national flower of Guatemala are orchids (L.purpurata; Lycaste skinneri alba). The vanilla bean is the seedpod of an orchid – the Aztecs used it as a flavoring. It is grown commercially (Vanilla planifolia, Vanilla pompona and Vanilla tahitensis). Vanilla is the daylily of orchids – the flowers last only a day, and the vanilla orchid grows in the form of a vine. The world’s smallest plant seeds are produced by certain epiphytic orchids, up to 35 million per ounce. Cattleyas, or Catts, and their hybrids, are the most popular orchid grown in the US. Catts hail from Mexico through South America and come in every color but true blue and black. They grow from a horizontal stem, with new leaves coming up along this stem, and flowers arising from the leaves. These often flower in our winter in the US, but with careful plant selection, you can have Catts blooming 12 months of the year. Catts will grow well outside much of the year – they need to be on a shaded patio, covered porch, or under shade cloth. Bring in when temps go below 40. A 60% – 70% shade cloth is excellent. A range of flower shapes – from large open flowers, to compact tubular flowers. A range of fragrances – the best part! Light – this the most important factor in growing Catts. They need bright light, but no hot direct sun, or they will sunburn. East and west facing windows are excellent. The leaves should be a medium green color, and the stems should stand straight and not need staking. Greenhouse shading at about 60% – 70% is good. Temperatures – normal household temps are usually fine – Catts like a nighttime/daytime temperature difference of about 15 degrees. Higher temperatures in summer are OK, but make sure there is good humidity and shading. In a true greenhouse setting, the intermediate range of temperatures suits most Catts. Water – once a week during the growing season (March – October) and you can mist to provide humidity. Cattleyas like to dry out before being watered again; ease up on watering in winter. Don’t use softened water and don’t let plants sit in water – wet roots will rot and soaked potting media will break down faster. Rainwater with its dissolved nutrients is excellent. Humidity – Catts like a high humidity. In the home, you can mist, or leave a very small amount of water in the bottom of the tray after watering. Air circulation is important to prevent leaf diseases. In the greenhouse, go for a 60% humidity level. Genus, Species, Hybrids – What Do Those Confusing Plant Tags Mean? 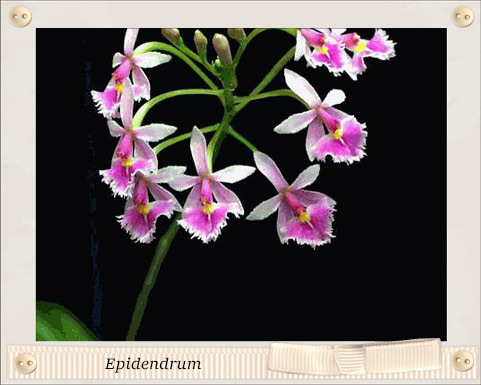 With tens of thousands of listed hybrids, reading an orchid name tag can be confusing. In the last example above, the HCC/AOS stands for Highly Commended Certificate, American Orchid Society, and the AM/RHS stands for Award of Merit, Royal Horticultural Society. Cattleya x Laelia = Laeliocattleya, or Lc. 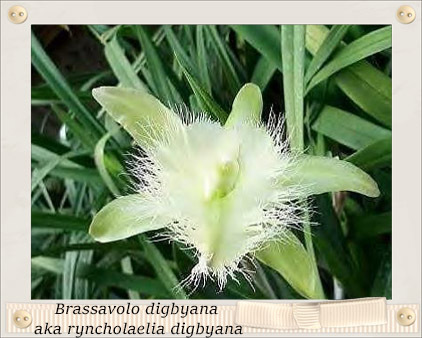 Brassavola x Laelia = Brassolaelia, or Bl. Brassavola x Laelia x Cattleya – Brassolaeliocattleya, or Blc. Epidendrum x Cattleya – Epicattleya, or Epc. Sophronitis x Laelia x Cattleya – Sophrolaeliocattleya, or Slc. If more than three genera are combined in one plant, that plant will typically carry the name of the hybridizer as the ‘new’ genus, i.e., McLellanara for the complex hybrids developed by the McLellan family. Others include Potinara and Hawkinsara. All you’re doing is providing an anchor for the roots – most orchid potting media provide no nutrition for the orchid so you’ll need to fertilize – see below. Orchids don’t like soaking wet roots – the mix needs to drain well, but should retain dampness. 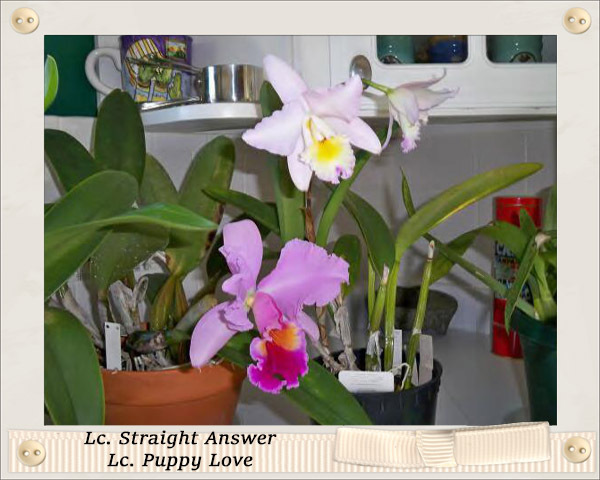 Cattleya alliance orchids generally like being potbound…a lot…do not over-transplant. Fir bark mixes are the most commonly available growing media and are fine for most Catts. Lowe’s sells one with added perlite and charcoal, and it is a good product. Osmunda fiber is excellent, doesn’t break down as fast as bark, but is difficult to find and expensive. Engineered lava rock – also excellent, and does not break down at all. 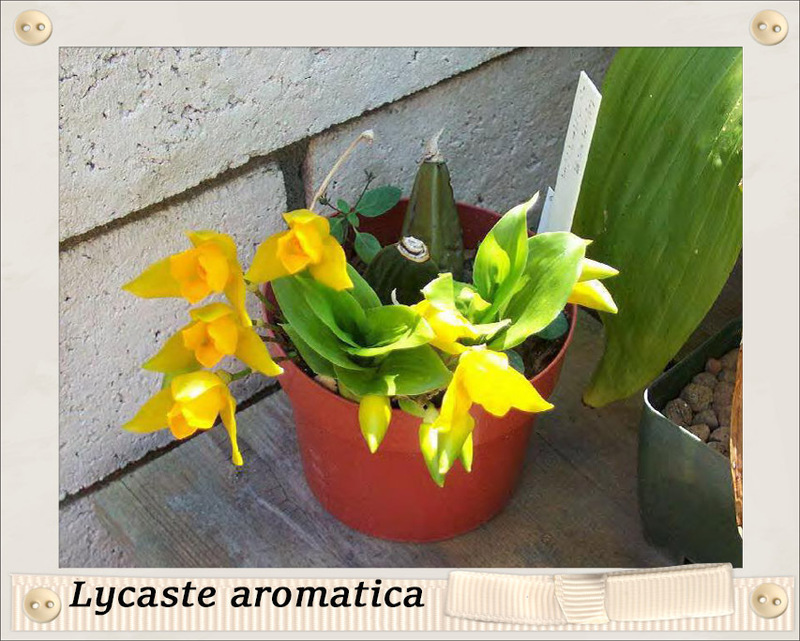 Terrestrial orchids such as Phaius and Cymbidium will grow in standard house plant potting mix. 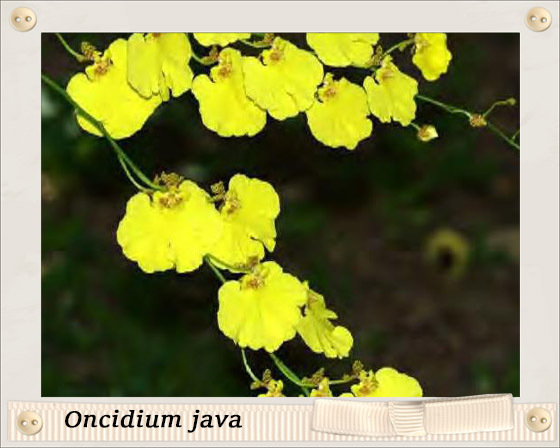 Specialty mixes – Aussie Gold, created by an Australian orchid grower, is excellent. You will occasionally see other growers sell their own mixes. Try making your own – bark, perlite, sand, charcoal, sphagnum moss, and horticultural diatomite. For the adventurous grower – look for teak baskets or pieces of bark to attach your orchids to. Simply follow the instructions on the orchid fertilizer package – this will usually include fertilizing full strength every week or two weeks during the growing season – roughly March through October. Rest plants during the winter – no fertilizer. Fertilize weakly, weekly, or weekly, weakly, and year-round. Weakly = ¼ to ½ recommended strength. Eventually, you will have to repot and/or divide your orchids. Do this when they’re growing out of the pot, or the bark has broken down, or you wish to divide. With Cattleya alliance plants, best time to do this is in early Spring. Repot into the smallest pot possible – clay or plastic is fine but you will find that clay pots dry out faster. Take plant out of old pot, and work all old bark/mix away from roots (If using lava rock, can place root ball directly into new pot). Cut out dead and broken roots. Divide if you want to, retaining at least four healthy pseudobulbs with roots per division. Work new bark or mix around roots, firming well – plant should be upright and firm in new pot. Water (once) with vitamin B1/transplant shock preventer. Rest plant in cool humid shady spot – do not water till new root growth shows. Ants – many orchids produce a sweet sap along the flower spike that attracts ants – no harm to the plant, but annoying. Wasps – same as above – wasps love the sweet sap. Earthworms – even one of these in a pot can kill a plant as they eat the roots. Leaf spot – caused by high humidity and poor air circulation. 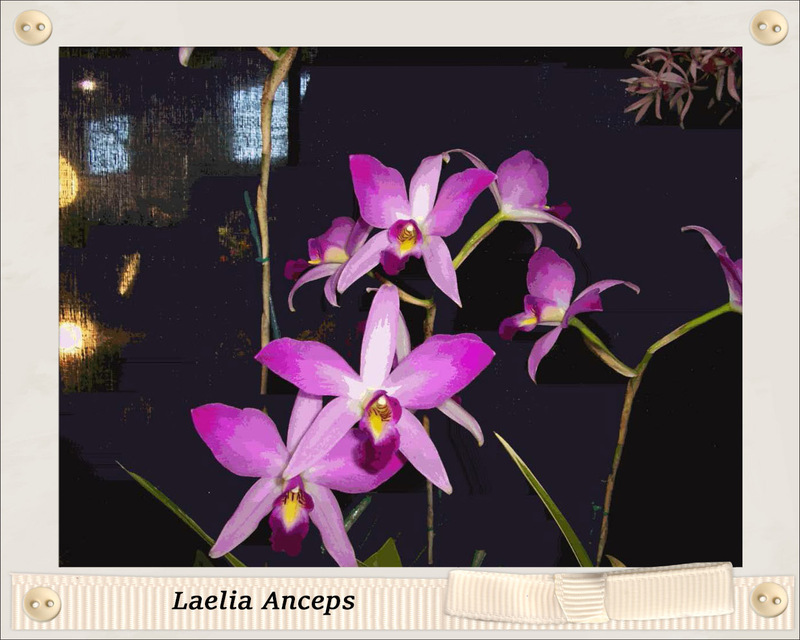 Alliance: a group of related genera – The Cattleya alliance includes Laelias and Brassavolas – refers to those that can breed with it. Aka tribe, family. Epiphyte: orchids occuring on trees in nature but not parasitic. 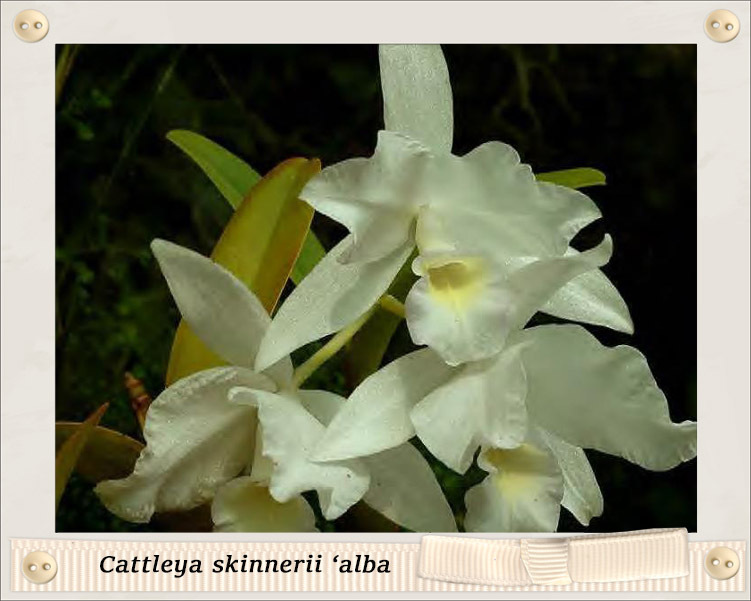 Genus: the smallest group of species that have certain essential characteristics in common, the first word in any biological name is the genus and the second is the species, ie., Cattleya skinnerii. 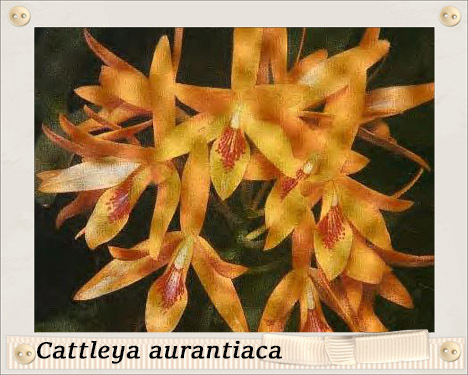 Variety: Describes minor color or shape variations within a genus or species, i.e., Cattleya skinnerii var. ‘Alba’, aka form. Hybrid: a cross of two or more genera and/or species, aka grex. Inflorescence: the flower stem, aka spike. Labellum: a very distinct lip like petal on orchids, aka lip. Mericlone: a plant created by meristematic propagation, aka tissue culture propagation. Meristem: The growing tissue that is constantly dividing at the tips of the roots and the growth eyes on a psuedobulb. Monopodial: growing year after year from a single stem ie., Vanda and Phalaeonopsis. Sympodial: growing from a new lead forming new psuedobulbs with each spurt of growth. 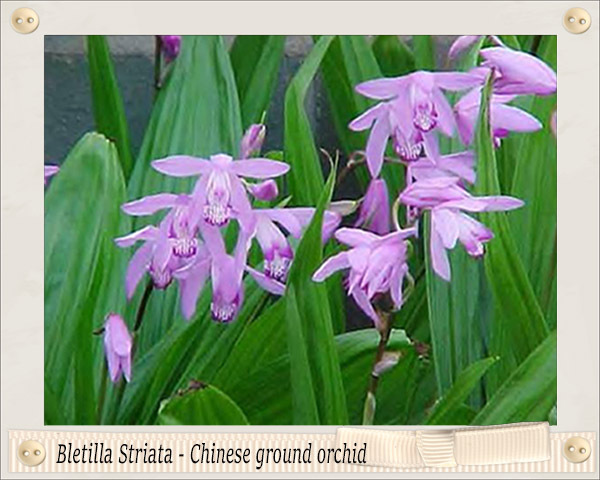 Petals: orchids have three, one of which is the lip of the flower. Collectively called the corolla. Psuedobulb: a swollen bulb like part of most orchids that holds the leaves and is attached to the rhizome. Rhizome: a prostrate or underground stem, which the psuedobulbs grow from, see sympodial. Sepal: orchid flowers have three, collectively called the calyx. Sheath: structure at the base of a leaf from which the inflorescence arises. Terrestrial: grows in the ground in nature. Categories: Uncategorized | Tags: cattleya, jt, orchids, tomasulo | Permalink.